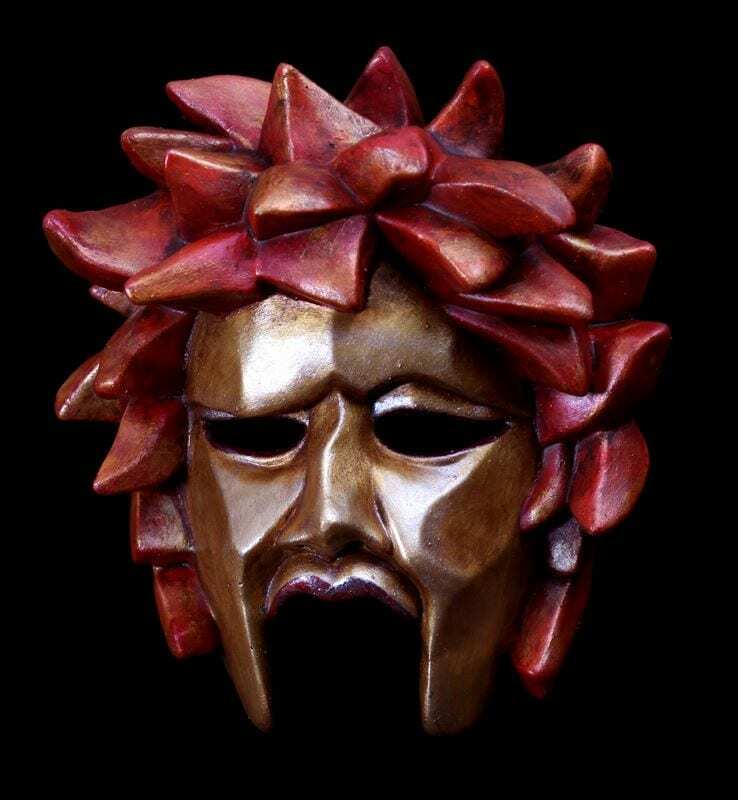 View cart “Greek Theatre Mask” has been added to your cart. 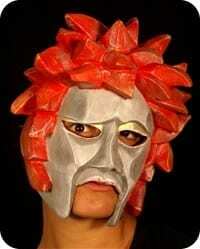 The Medea mask for Greek theater represents cleverness, the desire for revenge, rage, jealousy and strength. Her fiery hair is reflective of the fire she rains down upon Jason in the murder of their children. Imagine this mask exiting the final scene having murdered her children, having achieved vengeance against Jason in dragon-pulled chariot given to her by her grandfather the Sun-God. The popularity of this mask has made it the logo of the studio. This Greek mask is made of neoprene and held to the head with an adjustable strap.